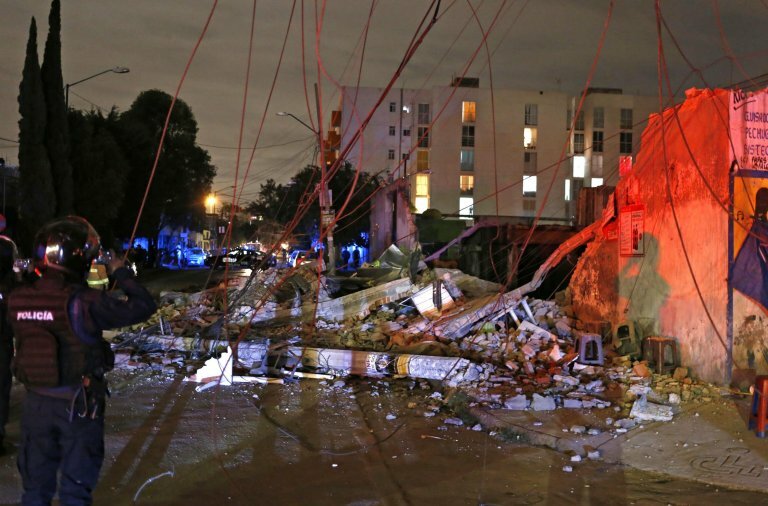 A massive 8.1 magnitude earthquake has hit southern Mexico - the most powerful earthquake in Mexico in 85 years. It was also the single most powerful earthquake in North America since 1965. 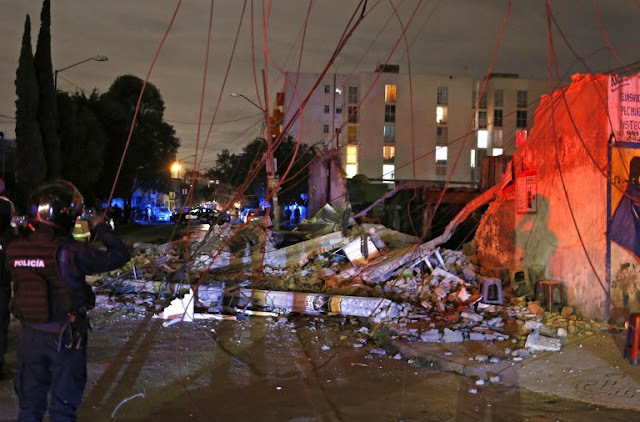 Outside of Alaska and Central America, it was perhaps the most powerful earthquake in North America since the 7.9 New Madrid earthquake of 1812. This comes after Hurricane Harvey struck the Texas coast causing unprecedented flooding in Houston. The hurricane produced more rainfall than any cyclone has ever produced in the United States and is on track to be the costliest natural disaster in U.S. history. Then Irma began slamming the Caribbean. Thousands of buildings were toppled. The Prime Minister of Antigua and Barbuda reported that upwards of 90% of buildings on Barbuda were leveled and every single cell tower had collapsed. Fox News reports that the hurricane will likely make landfall in southern Florida in less than 48 hours. All the while, the most powerful CME to hit earth since 1997 just struck the planet and Hurricane Katia is churning not far from Mexico City. Birth pangs are increasing rapidly, so my advice to you is to get right with the LORD and take the signs seriously - especially the Revelation 12 Sign. Pastors who have put off discussing these things with their congregations out of fear need to quickly change course because there may be little time left. Social media is blowing up with people concerned about what is going on, but they are like sheep without a shepherd. They don't understand the big picture and they don't know where to turn. Be a shepherd to them. Be a lighthouse. Share the Gospel and tell them God's Word is true. There was an 8.1 Magnitude earthquake in Mexico City in 1985 so I am not sure if it's correct that this is the biggest in a century. Certainly it's the biggest in over 30 years. I did slightly revise my article though. Most powerful EQ in Mexico in 85 years. Ah, okay. Yeah when they keep revising the magnitude it's hard to rank it historically. Regardless, it's a big one and combined with the hurricanes, Syria strikes, and North Korea tensions, it seems to add to the sense that the world is winding up ahead of the great sign. the reports coming straight out of Mexico note it being the largest in a century, and larger than the 1985 one. September means 7; the date 7, 7, 17 is "777" "777 and other Qabbalistic writings of Aleister Crowley" a reference book of Hermeticism; Hermes the "messenger of the sun" This same day 5 ex presidents formed the One America Charity and One America News Network. America is derived from Amarucu "Land of the Amorites" which the Americas were known as long before Columbus; Amurru the Edomite Shepherd and Serpent God; Amor the Canaanite god of the West. Amurru is also the name of Palmyra Syria (Aramea) where Children were passed through the fire, sacrificed to Molech; the Temple was recreated and erected in New York City and London. America was named for 14th century Italian explorer Amerigo Vespucci. @ Anonymous on September 8, 2017 at 9:44 AM - That is all BS. You're just making stuff up. In light of the initial trailer for THE SIGN looking engaging and relatively encompassing in its range of investigation of the topic, coupled with these events and the rapidly increasing social buzz about the disasters of these days it is now even more likely that that TV 'event' may be an eye opener for way more people and in a much larger and more evangelistic manner than any of us expect. 1 Pet 3:15 Maranatha! I hope this is as good as it seems like it will be, as far as being accurate and serious. Straighten up! Raise your heads! Our redemption is drawing near!!!! Come Lord Jesus!!!! Something is definitely happening. I can feel it. Time getting closer. I can't help but notice the repeated references to "Jupiter Inlet" in news reports about Irma. Irma ("War Goddess") possibly a direct hit on "Jupiter" possibly on the same date that Jupiter is birthed from Virgo and a dragon is supposed to try and devour. "Sharing your birthday with someone else you know can be fun — or stressful. You might get double the party, but chances are you’ll have to share the spotlight. This weekend, millions of Americans may have that feeling when the country’s most popular birth date comes around. Birth data shows that Sept. 9 is the most common birthday in the U.S., and September is the busiest month for births overall." When does Jupiter start its exit on Virgo again??? Yeah it's kind of funny how many coincidences we've been having lately! lol. Days of Noah! All over again. It's interesting how many of us noticed that Jupiter Florida had been mentioned in numerous news broadcasts this last week as being in the direct path of Irma. Yet, today (Sept. 9), the path of the hurricane has shifted more to the west and it's now possible that Jupiter Florida may escape the devastation of the Hurricane. This is an interactive weather site out of the Czech Republic. Set the middle drop-down menu to wind speed and then set the top one to 950 hPa, 500 m.
but right now it's looking like, less than 30 days since the eclipse, 3 major regions in the U.S.
will be hit by moster hurricanes. FYI - They called the path for Irma right on the nose!